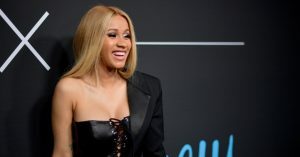 During a recent interview, things got pretty awkward with Cardi B when an interviewer asked her about potentially making up with Nicki Minaj. Some intense seconds of awkward silence followed. Cardi then proceeded to erupt in laughter for about 15 seconds without answering the question before the interview ended.